1977 saw three key products launched that helped to bring microcomputers into homes and businesses. These were the Commodore PET, Apple II and the TRS-80 which was launched in August 1977. The TRS-80 (later called the TRS-80 Model I) was sold worldwide through Tandy and Radio Shack stores, and used a Zilog Z80 processor - this gave the computer its "TRS-80" moniker. 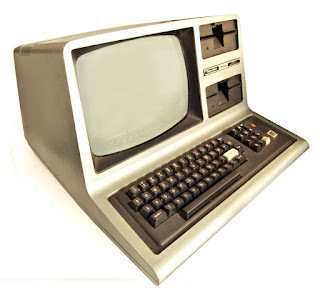 Designed relatively quickly, the TRS-80 was both versatile and troublesome which gave rise to a nickname of "Trash-80". 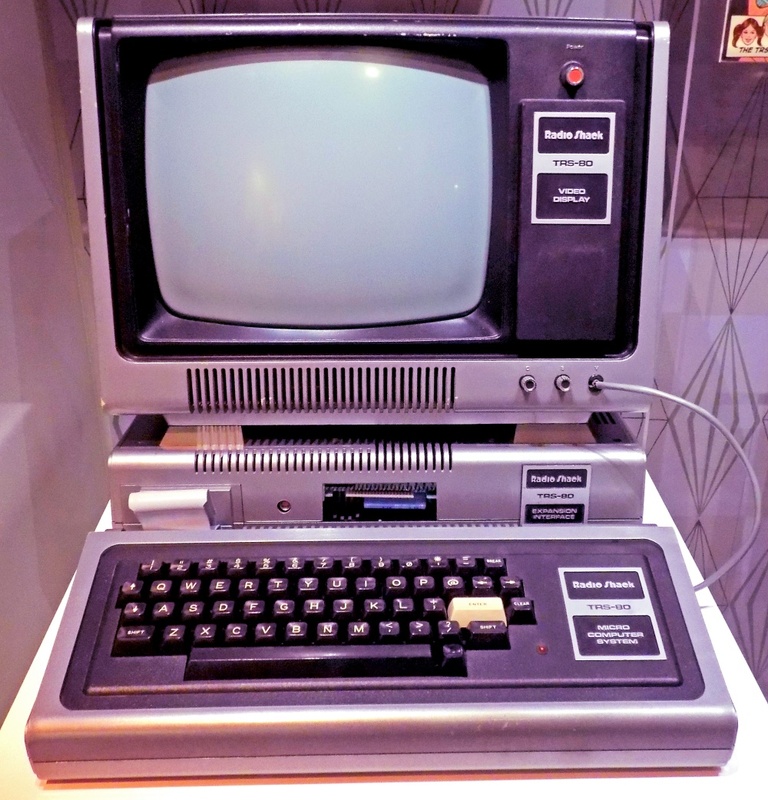 Despite the problems, the TRS-80 was a significant commercial success and several other products were released under the "TRS-80" name over the years. Back in 1977, Radio Shack owned over 3000 stores in the US with hundreds more worldwide either using the "Radio Shack" name or the "Tandy" name of its parent company. Inspired by the success of the Altair 8800 launched in 1974 and with a desire to sell higher-ticket items, Radio Shack engineers quickly designed an expandable fully-assembled computer with prices at launch as low as $500 (compared to $1300 for the Apple II). The original TRS-80 had its problems. Firstly, the ability to display lowercase characters was deleted in order to save a few dollars of the price, the supplied monitors were of questionable quality, the keyboards suffered from keybounce (where multiple characters get entered for one keypress), the cassette tape interface was unreliable, the floppy disk system was full of bugs, connectors ended up suffering from corrosion and the expansion interface would tend to make the whole computer reboot. The implementation of BASIC was also pretty crude and the operating system was somewhat primitive. The graphics were also crude, there was no support for colour and there was no sound. Despite these the TRS-80 had the advantage that you could not only rock up to a Radio Shack store and buy one, but if it went wrong you could take it back to the same store and they would fix it. This was a huge advantage over Apple and Commodore who had to build up a distribution network through partners. The design was steadily improved and problems fixed by Tandy themselves, and a range of aftermarket accessories and replacements became available to fix some of the design defects. Peripherals continued to become available, including hard disks and printers and joysticks and third party suppliers made a wide range of software available for the TRS-80 (even if Tandy didn't publicise the fact very well). Various operating systems were available too, some through Tandy and several more through third parties, giving the TRS-80 an appeal to tinkerers are well as the home and small business users it was aimed at. The first major revision of the TRS-80 came in 1980 with the Model III (the Model II was something different) which moved everything into one box with better hardware and software overall. In 1983 the Model 4 was launched with further enhancements and the ability to run CP/M. 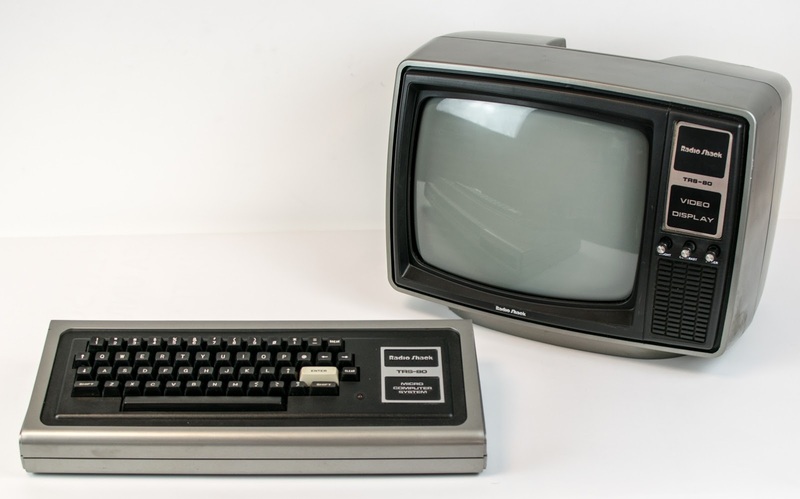 There was also a transportable version launched the same year, the TRS-80 4P, and the final model released was the 4D in 1985 – this model remained available until 1991. The Model I and its successors sold well in North America and Germany, but not so well in other markets such as the UK. Although the TRS-80 name found its way onto many other computers of varying success, these were all largely incompatible as they had very different architectures. Over the next few years Tandy’s microcomputer business continued to grow and they manufactured a variety of systems for other companies as well as their own. However, in 1993 Tandy quit making computers and sold its assets to AST. Tandy and Radio Shack continued going, but a slow decline had set in. In 2015 Tandy/Radio Shack declared bankruptcy, followed by a buyout and another bankruptcy in 2017. At present a few stores are left trading, but the once great Tandy/Radio Shack empire is just a faint echo of what it once was. These days if you are after any model of TRS-80 will will probably have to import one from the US (remember in Europe you'll need a transformer else you will blow the power supply). Prices go up to about $500 or so depending on model and specifications.